The teambuilding activity par excellence. 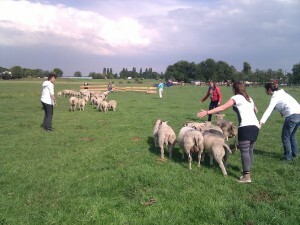 Driving a herd of stubborn sheep in the ownmade cage. Offcourse with respect for the animals. Ideal as a communication or teambuilding activity with hilarious moments.